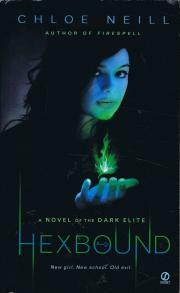 Lily Parker is new to St. Sophia's school for girls, but she's already learned that magic can be your best friend... or your worst enemy. They say absolute power corrupts absoltely. Turns out that even a little magic can turn you to the dark side. 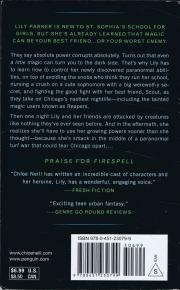 That's why Lily has to learn how to control her newly discovered paranormal abilities, on top of avoiding the snobs who think they run her school, nursing a crush on a cute sophmore with a big werewolf-y secret, and fighting the good fight with her best friend, Scout, as they take on Chicago's nastiest nightlife - including the tainted magic users known as Reapers.